Salesforce is the world’s #1 CRM platform for businesses of all sizes. 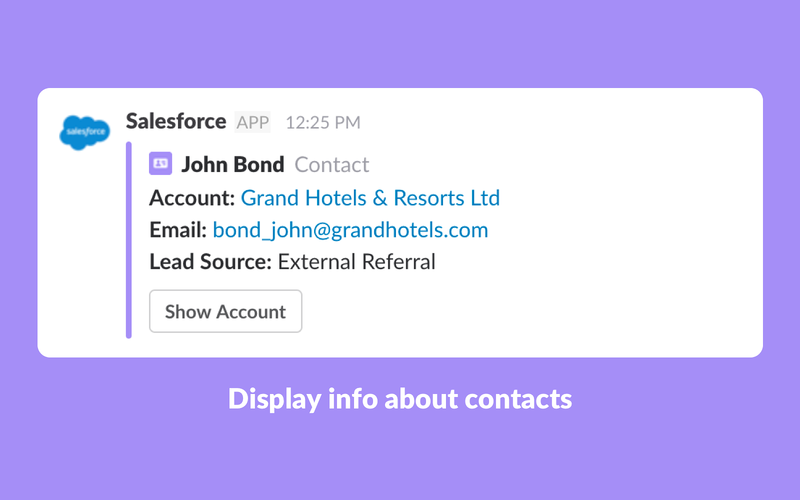 Manage contacts, track opportunities, and close deals faster.Connect Slack with Salesforce to view and share key information about your accounts right where you’re already working with your team. 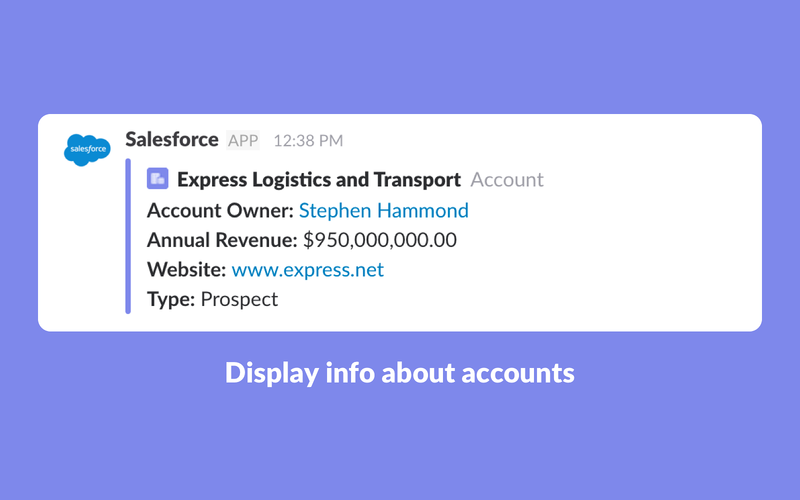 • Search Salesforce from Slack by typing /salesforce [search term]. Your search will return three results, and when you click one, it will expand to provide basic account details. You can then choose to share your search results in any channel or Direct Message. 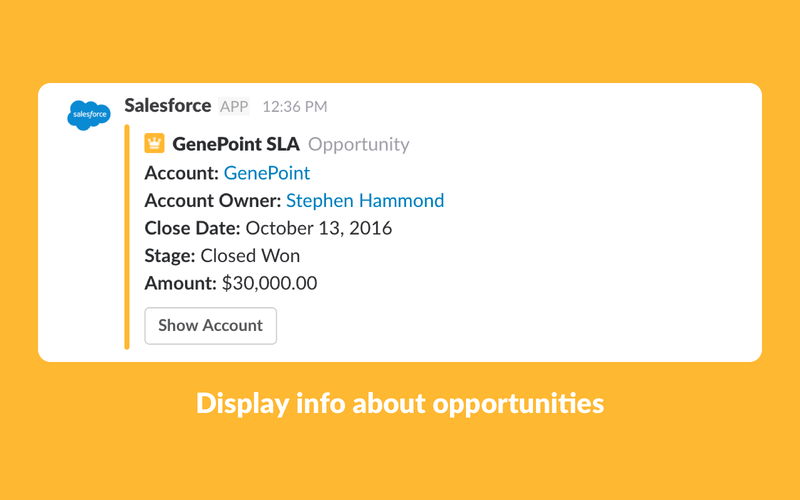 • View information about any Account, Lead, Opportunity, or Contact whenever you paste a Salesforce URL in Slack. This way, your team has the context they need without having to juggle different apps and windows. • Stay in sync by installing the Slack app for App Exchange and linking any Salesforce object with its relevant Slack channel. This integration requires access to the Salesforce API (Enterprise, Unlimited, Developer, or Performance Edition). 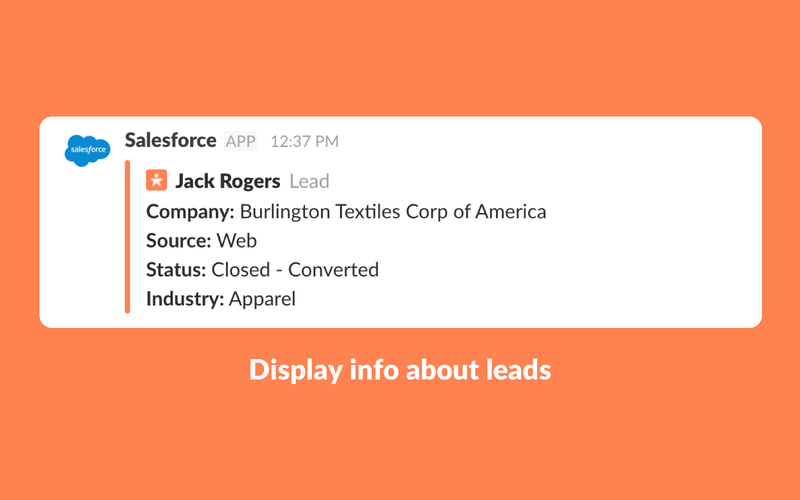 You can learn more about using Salesforce with Slack on our Help Center.